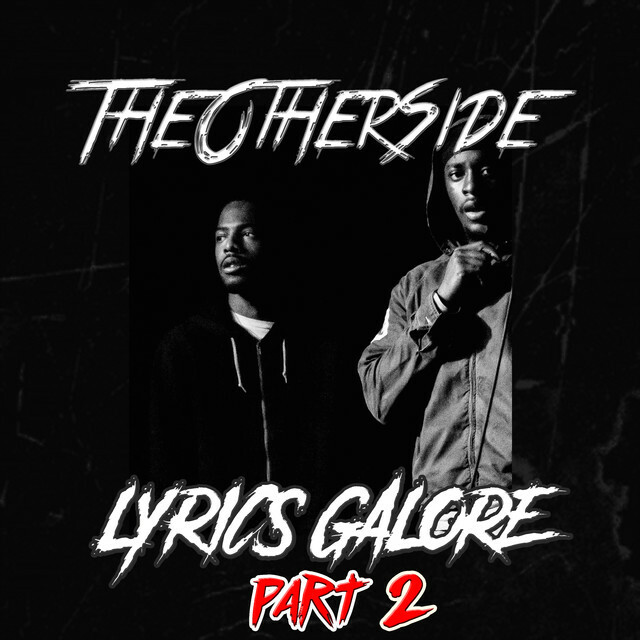 TheOtherSide collective, JoSoSick and Logan, make an impressive and confident return to their Lyrics Galore series. After a savage Pt. 1 last year, the pair waste no time in batting back with Lyrics Galore, Pt. 2. “Clarting Dubs” breaks in with a phenomenally solid opener. If you aren’t wheeling that up in the first 20 seconds, then the disrespect is real! The Camberwell and Willesden MCs jump in with energy that last for the entirety of the tape – tongue twisting flows, boasy lyrically confidence and rapid rhyming skill. Following the debut single comes a similar image to Pt. 1’s second single – the tape’s self-titled track. However, this one is slightly more upbeat than the first and with added bounce. Like other parts of the tape, here we see seemingly more thought going into the structure, quality and sound of each record. The continuation of this tape presents a variety of moods and styles – from the minor key plucks of “How We Roll”, to the felt exhaustion exclaimed on “Washed MCs”, and the patois-tinged lyrical melodies of “Dem Bwoy Deh”. The finale of this project shows JoSoSick and Logan use the same instrumental but for two different songs. JoSoSick steps up first with his take entitled “Nice One”. As Logan follows with his take under “Facts”. These are skippy and upbeat riddims and incorporate an incredible (presumed) sample, heard at the beginning. Thus, even with all this intertwined barring; top tier wordplay and flows; and all-around good records, there is more. Every single production was crafted by Logan – someone who, along with his lyrical ability, is a talented producer, engineer and (self-proclaimed ‘learning’) videographer. To conclude, this tape is excellent – for the two involved and the grime scene. But to capture the true impressive view of this pair is to stand back and look at their career throughout this past year. From singles, to sets, to Grime Originals, to features, collaborations and productions. These two musicians do a lot – seemingly enforcing a maximum work ethic, whilst creating a structure, company, organisation and potential empire. From what we know TheOtherSide produce, record, engineer, film and direct, plus what we don’t. Lyrics Galore Pt. 2 is well worth the listen, but for anyone seeking ANY type of music career, watching the actions of these guys will last longer than a 25-minute tape. As they exclaim on “How We Roll”, “We did it on our own”. For more updates, find JoSoSick on Twitter and Instagram; and Logan on Twitter and Instagram.